VersaLogic Corporation announces a new line of production-ready, Arm-based embedded computers starting with the Tetra. 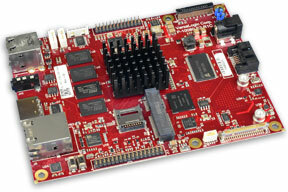 VersaLogic’s new line of Arm-based EPC (Embedded Processing Card) products are complete board-level computers. VersaLogic Corporation announces a new line of production-ready, Arm-based embedded computers starting with the Tetra. 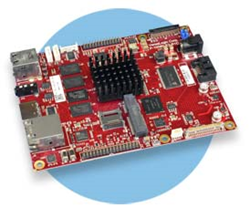 The Tetra is a power-efficient, quad-core Single Board Computer (SBC). Featuring a quad-core i.MX6 Cortex®-A9 32-bit processor, a Tetra typically consumes about 4W of power when operating (not idle). It is ready for off-the-shelf deployment into demanding industrial applications requiring rugged, long-life, power-efficient, industrial temperature rated (-40° to +85°C) solutions. 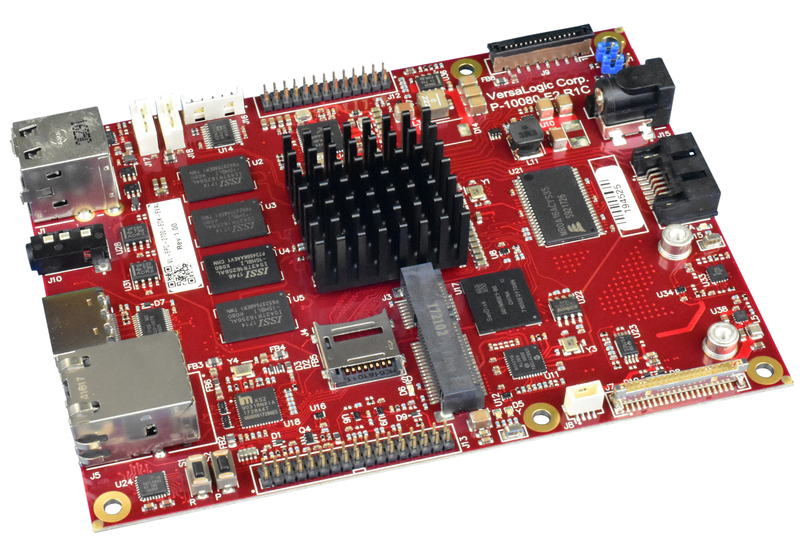 Unlike many Arm-based “modules,” VersaLogic’s new line of Arm-based EPC (Embedded Processing Card) products are complete board-level computers. They do not require carrier cards, companion boards, connector break-out boards, or other add-ons to function. For ease of mounting, and future upgrades, VersaLogic’s Arm products are designed around the size and mounting points of COM Express products. Unlike proprietary-format Arm products, VersaLogic Arm boards provide a standardized mounting pattern now, and simplified upgrading in the future. The Tetra is COM Express Basic size (125 x 95 mm) and offers a variety of I/O options for rugged, industrial applications. The three quad-core Tetra models feature a wide (8 to 17-volt) power input, making it ideal for 12-volt automotive applications. Many applications that require lower power or lower heat dissipation still need very high levels of reliability. VersaLogic’s 10+ year formal life-extension program ensures long production cycles free from expensive changes and upgrades that come from short, disposable lifecycles. A variety of on-board I/O includes a Gigabit Ethernet port with network boot capability, HDMI and LVDS video outputs, and two USB 2.0 Ports. Serial I/O (RS-232) and a SATA II interface or mSATA, support high-capacity rotating or solid-state drives. CAN Bus, I2C and SPI are also included along with a 6-axis e-compass, and MIPI camera input. The on-board Mini PCIe socket provides flexible expansion using plug-in Wi-Fi modems, GPS receivers, Ethernet, Firewire, and other mini cards. With decades of embedded design experience, VersaLogic understands how to design in quality and reliability. U.S.-based technical support includes comprehensive assistance during project development. The Tetra, part number VL-EPC-2700, is in stock at both VersaLogic Corp. and Digi-Key Corp. OEM quantity pricing starts at $318. Contact Sales(at)VersaLogic.com or visit VersaLogic.com/Tetra or Digikey.com for more information. VersaLogic delivers state-of-the-art embedded computers, coupled with expert technical support, for critical markets such as medical and defense. Featuring 10+ year availability, -40° to +85°C operation, Mil Spec 202G shock and vibration testing, and outstanding US-based support, VersaLogic products are ideal for critical applications that value ruggedness, reliability and long life. A 40 plus-year history of consistency has earned VersaLogic the reputation of being “the industry’s most trusted embedded computer company.” For more information, visit VersaLogic.com.